Read all the entries in the 2003 Sandburg Days Memoir-Writing Contest, or the 2002 ones, or the 2001 ones, or the winning entries in the 2000 contest. March 18, 2019 - After a short break we are delighted to welcome Barbara Schock's return to writing her Sandburg's Hometown articles! This should be #274. Thank you, Barbara, for sharing you passion for local history with the rest of us! The Carl Sandburg Historic Site Association is a 501(c)(3) tax exempt organization. Donations and contributions are tax-deductible as allowed by law. 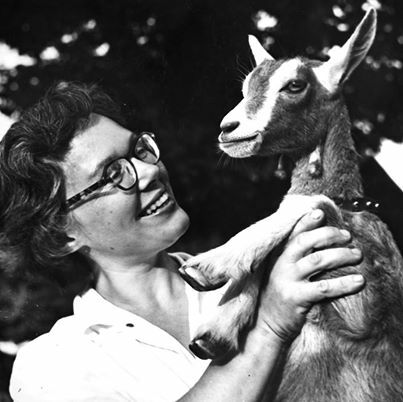 On Sunday evening, January 26, 2014, Helga Sandburg Crile, died in Cleveland Heights, Ohio at the age of 95. Helga was the youngest of three daughters of Carl & Lilian Steichen Sandburg. We invite you to click anywhere within this announcement and read the beautiful obituary penned by Helga's daughter, Paula Steichen Polega. It is with great sadness that we announce the death of Charles "Chuck" Bednar. 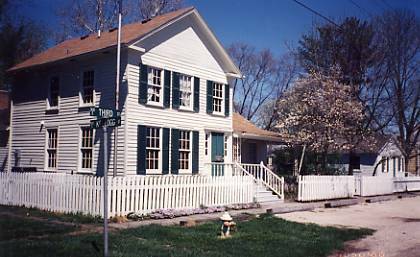 His mother, Juanita, was a driving force in the purchase, restoration and early operations of Carl Sandburg's birthplace cottage. Chuck followed in her footsteps and was involved with the Site and its support group over the years. After returning to Galesburg in retirement, Chuck served six years on the Board of Directors of the Carl Sandburg Historic Site Association and as President (2011-2014). The impressive 9-foot statue of Carl Sandburg centrally located in Galesburg's downtown was realized due to Chuck's visionary leadership. He had a great knowledge of Sandburg and American history and literature. Chuck will be deeply missed. 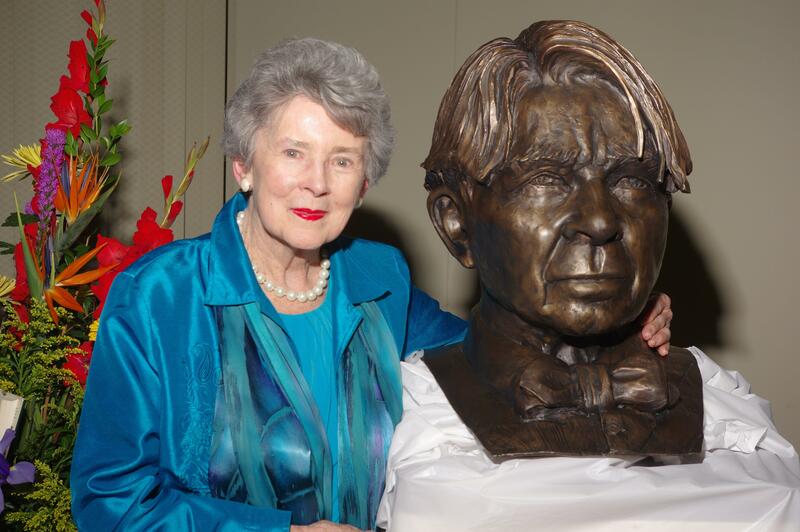 "Tede" was involved with the Carl Sandburg Historic Site and member of the CSHSA board for many years. She will be missed. Thank you, Tede, for your years of service to so many! 501(c)(3) tax exempt organization. Donations and contributions are tax-deductible as allowed by law. Until a new permanent part-time site interpreter is hired by IDNR, the site will be closed. We hope to return to Thursday - Sunday hours again soon. There will be an official Penny Parade Fundraiser starting January 6, 2019 (Carl Sandburg's birthday) and ending on Thursday, April 25, 2019 (Program starts 1:00am) as part of Galesburg's annual Sandburg Days Festival, April 25-27, 2019. Pennies collected by our Galesburg area students will be accepted. There will be a program for the students representing their schools. We sincerely appreciate all of the support we receive from our area schools! Congratulations on an awesome Penny Parade 2018! Below is our preliminary income from a very successful Penny Parade 2018. Kudos to THE COMMITTEE: Mike Hobbs, Mike Panther & Gayle Stewart! Great job. Our student representatives were terrific and clearly schooled on Sandburg thanks to teachers in the local schools who have been using Sandburg curriculum developed by Pat Kane & Pam Fox and inspired by the entertaining Spinks, Skabootch & Swipes in Rootabaga Country performances at each of the schools over the past several months. Many thanks to the students fundraising efforts at all of the Galesburg area schools. Photos from the Penny Parade 2018 Program. Emcee Mike Panther, Musician Erin Glasnovich, Student presentations from several of the schools representing Hedding (Abingdon), Gale, Galesburg Christian, King, Nielson, Silas Willard, and Steele! Thanks to all!! The episode explores an ongoing debate about which window Abraham Lincoln used as an exit from Knox College’s Old Main; the role played by Galesburg’s founders in the Underground Railroad; the Boxcar People from Mexico who worked on the rails and created a community in the early twentieth century; the early career of the inventor of modern advertising Earnest Elmo Caulkins; current efforts to revitalize downtown through local businesses and culture; the creation of a recent community by Congolese immigrants; and, of course, the life and career of poet, historian, and journalist Carl Sandburg. Featuring 8-year old Nakshatra Neeraja reciting "I Am the People"
From Kuwait: First Prize for English Poem Recitation to 8-year old Nakshatra Neeraja performing Carl Sandburg's "I Am the People". This youtube video was shared with us by Nakshatra's proud father. Thank you Dr. Binu! Thank you, Nakshatra, for a wonderful performance! ENJOY! With all of the challenges facing museums and historic sites in Illinois, it is time to redouble our efforts to protect the Carl Sandburg State Historic Site and the legacy of our native son and national treasure. To accomplish this goal, the Carl Sandburg Historic Site Association (CSHSA) was chosen by the Galesburg Community Foundation (GCF) to participate in an Endowment Match Program. Prior to the June 30, 2016 deadline the CSHSA raised just over $12,000 toward an endowment to support the Historic Site and the GCF has matched our efforts with the $10,000 matching grant. This is our initial effort to start an endowment and we hope to see it grow to a point where the interest from the endowment will be significant enough to enrich the Carl Sandburg Historic Site in the future. Thank you, especially, to the Galesburg Community Foundation for their efforts and support for preserving the heritage and history of Galesburg. Thank you to our Knox County Master Gardeners!! We are fortunate and grateful that two of the Knox County Master Gardeners, Sylviane Stites and Jamie Yemm, are once again helping us with the Site's flower beds. Along with volunteers and staff those two women are teaching us about maintaining the plantings that border the Site's property and surround the cottage where Carl Sandburg was born. We would like to take this opportunity to say thank you to Jamie and Sylviane and the other Knox County Master Gardeners that have volunteered to help at the Site. 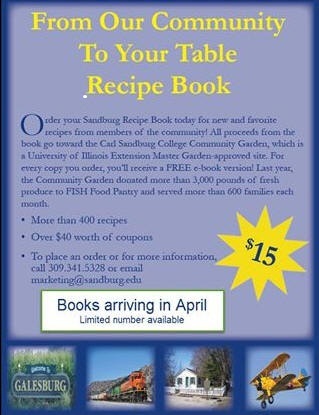 They have just published a wonderful cookbook From Our Community to Your Table. 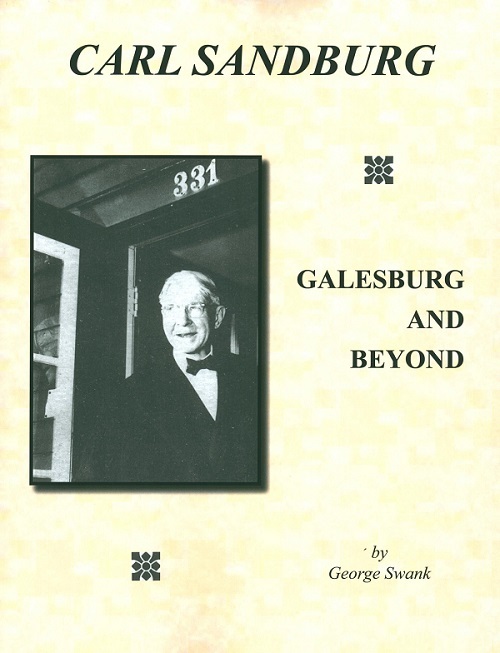 It is available at numerous locations in Galesburg, including the Association's bookstore at the Site for $15. Hope to see you in the garden. New to the Museum Bookstore! Originally Published in 1983 by the Galva Historical Society. 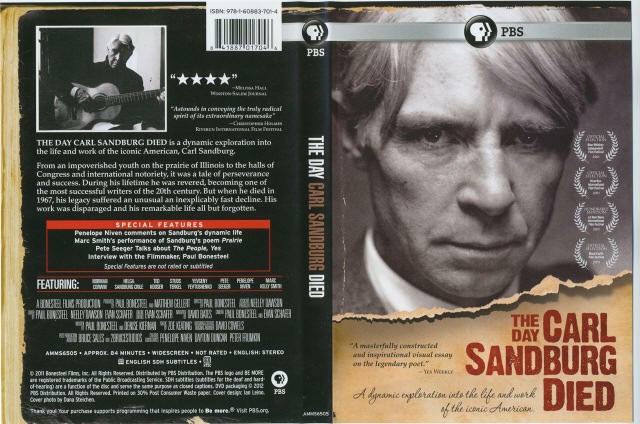 We have transferred a recently-acquired rare 16mm film of a 1953 interview with Carl Sandburg to DVD and are making copies available to the public. It's a perfect introduction to Carl Sandburg, his admiration for Abraham Lincoln, and what he means to America. 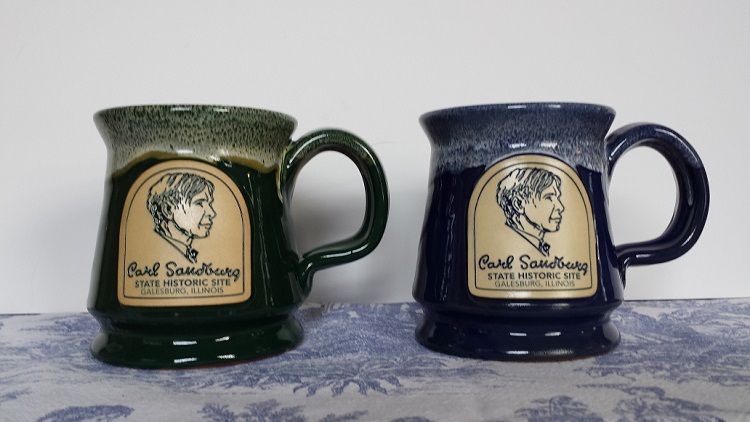 The Carl Sandburg State Historic Site, 331 E. Third St., Galesburg, Illinois, is open from 9am until 5pm on Thursdays through Sundays, April through November, and for special events such as festivals, meetings, concerts and lectures. Even when we are not open, you are welcome to browse in our garden or meditate at Remembrance Rock. If you come by car or have an FM radio with you, tune to 88.7 and listen to a brief presentation about Carl Sandburg and the Historic Site. Three audio segments rotate: a short biography narrated by Rick Heath; a tribute to Carl Sandburg by President Lyndon B. Johnson and Sandburg's Grammy Award-winning narration of Aaron Copland's "A Lincoln Portrait." Enjoy them all. A monthly concert series presented by the Carl Sandburg Historic Site Association in the "Barn" at Carl Sandburg's Birthplace, in an intimate smoke-free and alcohol-free environment, showcasing acoustic music in the traditional and folk style. 313 E 3rd Street, Galesburg IL, (309) 342-2361. The concerts are free and open to the public, however a $5.00 donation is greatly appreciated. All shows start at 4:00pm, normally on the Second Sunday of the month. Father & daughter duo with traditional Appalachian folk music. Midwestern based, full-time touring singer/songwriter/multi-instrumentalist. 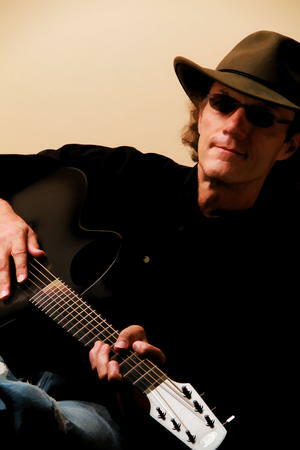 We are grateful to Tom Foley who is coordinating the Songbag Concert Series this year for the Association. A donation of $5.00 per person is suggested as the door (or gate) entry fee. These door receipts go to the Songbag Concert performers to supplement a base amount paid by the Carl Sandburg Historic Site Association. If you enjoy the concert, please be generous in support of our performers. 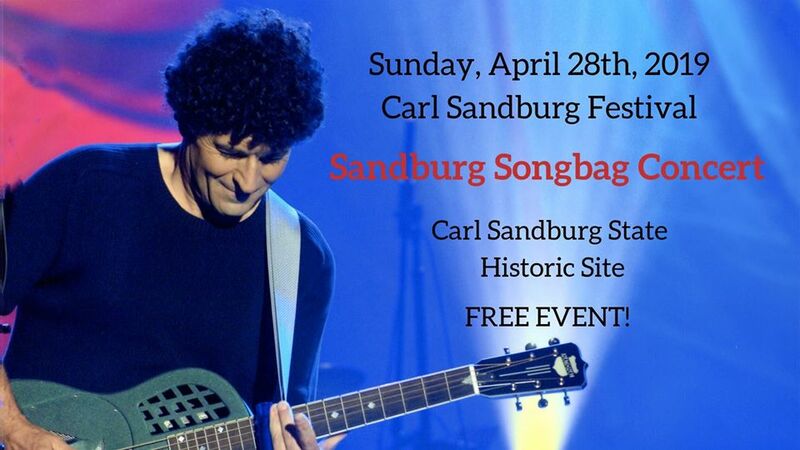 Songbag Concert Series performers and refreshment costs are underwritten by the Carl Sandburg Historic Site Association and its members at a cost of approximately $2,500 per year. If you would like to support the Songbag Concert Series, become a member of the Association, and/or feel free to make a donation to the Carl Sandburg Historic Site Association, PO Box 585, Galesburg, IL 61402-0585. 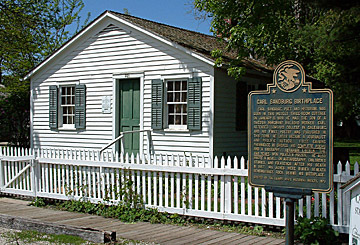 The home where poet and author Carl Sandburg was born and its adjacent grounds containing a park and garden are located at 331 East Third Street on the south side of Galesburg, Illinois. Click here for a map and access to directions. Next door is the Visitor's Center. It contains a museum, a museum shop, a small theater where several informative videos about Carl Sandburg are shown and a renovated "barn" which is actually a small theatre with a few more exhibits and where live performances are often held. The museum contains hundreds of artifacts and modern colorful displays appropriate for all ages. The Carl Sandburg Historic Site is supported by the State of Illinois and the nonprofit Carl Sandburg Historic Site Association. 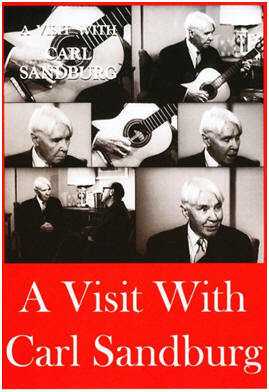 The Association sponsors and participates in many activities throughout the year to honor and remember Carl Sandburg. These include the "Penny Parade" which brings schoolchildren to the site to have fun while learning about Galesburg's most famous son. The Association is a participating sponsor of the Sandburg Days Festival For The Mind held each April. It hosts the Songbag Concert Series of folk music concerts (and sometimes other genres) held inside the Visitor's Center "Barn" theatre in the fall, winter and spring. Details of upcoming concerts are also available at the site of the series' producer, John Heasly. The Association meets at 7pm on the second Tuesday of each month in the Visitors' Center. Guests and interested visitors are always welcome. The Carl Sandburg Historic Site Association planned and funded a perennial garden and quotation walk in the back yard. The plantings are appropriate to Sandburg's era and surround Remembrance Rock, where the ashes of Carl Sandburg, his wife, Lilian, and two daughters, Margaret and Janet, are buried. 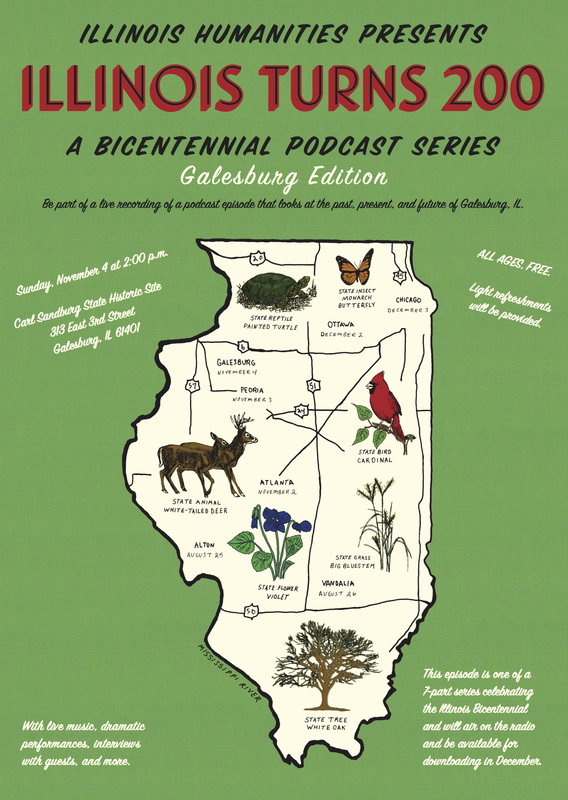 Copyright ï¿½ 2015 by the Carl Sandburg Historic Site Association.